“IP” is a hotly debated issue. How will the Novartis ruling affect pharmaceutical companies? Intellectual property (IP) is one of the most contentious issues in modern international trade. It is also one of the key issues for developing and developed markets internally. Disagreements over IP “theft” have tainted relations between many major trading economies throughout modern economic history, even as IP laws have continued to evolve and be modified. Indeed, according to some economic historians, the appropriation of British intellectual property (trade secrets) was a major part of the United States’ development strategy under then Secretary of the Treasury Alexander Hamilton. Currently the issue has been most prominent in relation to U.S. intellectual property and Chinese attempts to “appropriate” it through methods like cyber espionage. In fact, at least part of the motivation behind some of the new proposed trade deals (including the U.S. – EU talks and the TPP) are related to dissatisfaction at the current state of IP protection under existing trading regimes. 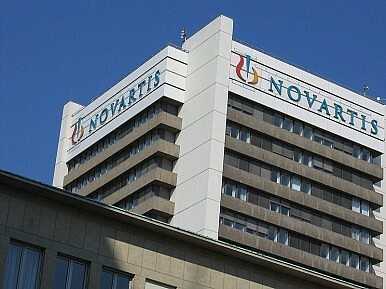 This month, however, it was Novartis, a Swiss company, and India which faced off on a sensitive IP issue. There are many types of intellectual property, including those which differentiate brands. But the general idea behind innovation-related intellectual property is to protect its creators, allowing them a period of time in which to leverage their ideas (usually for profit). The justification for this is it serves as the primary motivation for companies to invest in research and development (R&D). No advanced economy has what could be considered “weak” IP protection laws, even if standards vary from country to country. There is a debate however on how important IP protection and the innovation it nurtures is for a country looking to escape the middle income trap. For Pharmaceutical companies, R&D is a huge expenditure. Not only must a new drug or treatment be effective, but in order to bring it to market, a company must carry out several phases of testing and jump through various regulatory hoops before its product is approved for each market. Obviously, many drugs fail or are rejected at the various stages of development, meaning that every drug that does make it through – at least from the company in question’s point of view – needs to be able to pay for all the failures, as well as providing the company a profit. When it comes to life-saving drugs, however, this economically rationale argument collides with human mortality and personal tragedy. “Bigger picture” reasoning is not so obvious when faced with such matters. International norms do allow for exceptions to drug related IP in the case of an epidemic, but when poor countries face continuously high prices for pharmaceutical products, of course there is pressure to infringe on patents. Novartis’s application for a patent within the Indian market for Glivec, a cancer drug, was rejected by the country’s Supreme Court in what has been seen as a symbolic blow to the entire industry. India’s pharmaceutical industry is thriving but some claim it has found success largely by making generic versions of patented drugs. Indian companies Cipla Ltd and Natco Pharma Ltd already sell their copies of Glivec for a fraction of the price. Due to IP protection concerns, major pharmaceutical companies tend to avoid India for their R&D work. Meanwhile there are also worries about IP protection for drugs in China. However, quitting a market entirely is probably a self-defeating strategy, as it simply allows generic domestic companies to capture the entire market whilst cutting off what limited earnings that are possible for the “Big Pharma” firms. One suggestion to solve the pharmaceutical companies’ dilemma that has been analyzed and debated is for them to introduce differentiated pricing (charging higher prices in richer countries) in order to still be able to operate in poorer markets. However, not everyone in “rich” countries is rich, and not everyone in “poor” countries is poor. Differentiated pricing for high cost “R&D” products such as drugs effectively equates to “subsidies” from rich country sick people (and health systems) to poor country sick people (and health systems). When viewed as such, under-funded healthcare systems in advanced economies, and the governments who run them, may also feel that differentiated pricing is unfair. Meanwhile, worries that generic domestic producers from India and other areas are exporting their patent-infringing generic versions across the world offer further problems for such a differentiated pricing system proposal. For a differentiated pricing solution to be effective, companies and governments would thus have to address the cross-border sale of drugs (often via the internet), and complaints from poorer households in richer countries. It hardly seems feasible to introduce household level “means-testing” for the entire global pharmaceutical market. Until such questions are answered, the ongoing and complicated battle between the vital needs of expensive pharmaceutical innovation (to produce life-saving products) and the requirements of healthcare systems (to deliver life-saving treatments affordably to populations with differing wealth levels) will continue. Following the Novartis ruling, it seems that India is set to be a key player in how this process develops.